Pat and I have followed Van Gogh’s path this summer, from Arles where the “Yellow House” was destroyed in WWII to the asylum at St. Remy en Provence to the final destination at Auvers-sur-Oise. 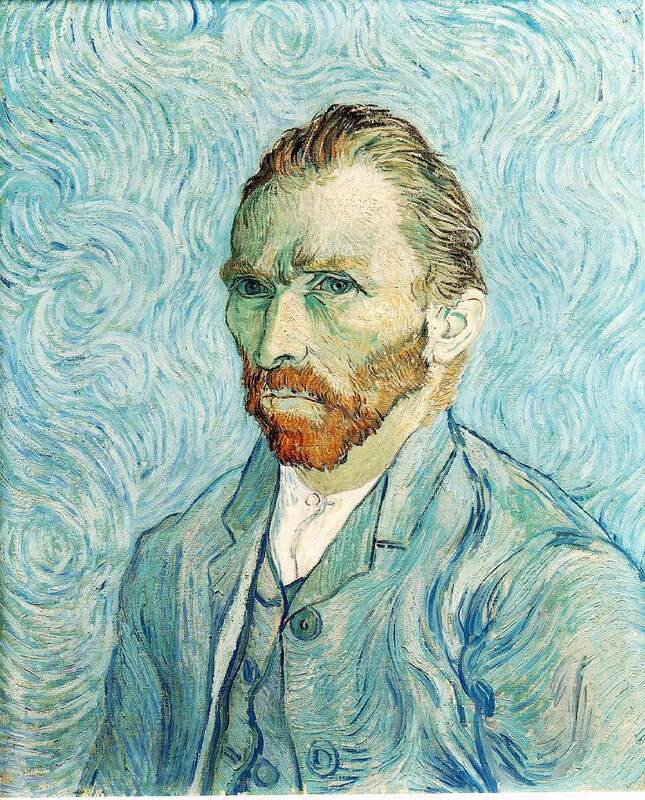 It has been an emotional journey, tracing the path of the last several years of Van Gogh’s life. But nowhere has the sadness been so poignant as in the tiny room at the top of a dark narrow staircase in the inn L’Auberge Ravoux, where Van Gogh died at the age of 37 after shooting himself in the chest two days before. In a slightly larger room, also on the 2nd floor, we viewed a wonderful documentary showing many of his Auvers paintings and excerpts from letters to his brother Theo from that same period. Perhaps it was the aura created by the background music by Schubert, or maybe the footsteps coming up the stairs, but we surely felt Vincent’s presence, and we will forever appreciate his art in a more profound way than ever before. We watched the video twice and would love to purchase a copy. Does anyone know where this may be possible? A short distance up a hill from L’Auberge Ravoux is the village church. 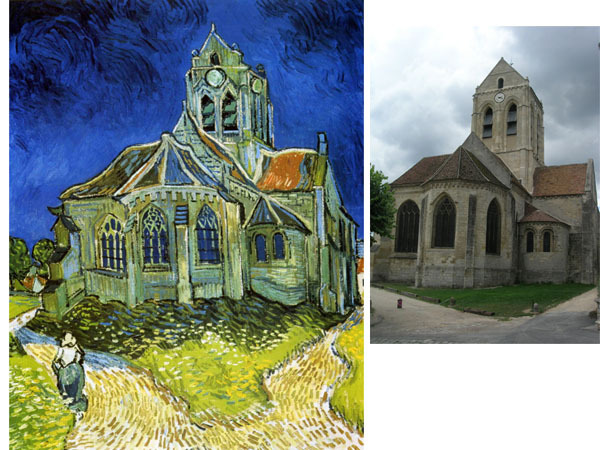 When we looked at Van Gogh’s heartbreakingly disturbed and hauntingly beautiful painting of this church, we had no idea of the monumental size of the actual church. How can we enter any other person’s mind, let alone that of a man who would commit suicide within a few months of creating this painting. What terrors did Vincent see in this place designed to foster solemn reflection? When you walk past the church, following the signs to the cemetery, along the road Van Gogh must have taken many times, palette and brushes in hand, you pass the wheat fields he painted and soon reach the grave sites where Vincent and Theo Van Gogh are buried. 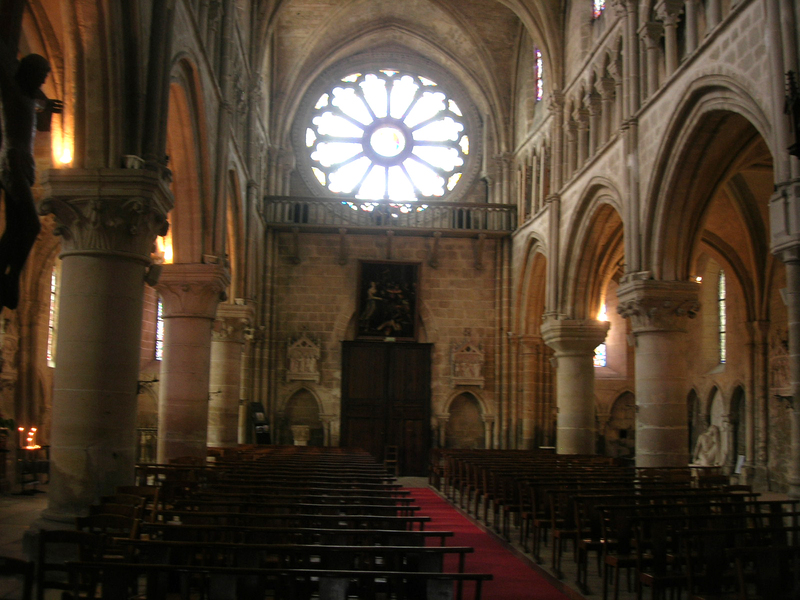 This entry was posted on August 18, 2010 at 2:01 pm	and is filed under ... 2010, ... France - Paris. You can follow any responses to this entry through the RSS 2.0 feed. You can skip to the end and leave a response. Pinging is currently not allowed. I have recently stumbled upon your blog and simply put, is rivetted. Expressive writing skills. One can feel themselves reliving the sights and smells vicariously through your eyes. Keep up the work. Art, writing and travelling are apects of life few dare to explore. I’ve visited France twice but have hardly touched the tip of the iceberg. Hope to revisit soon. Hans & I are very much enjoying your BLOG! Great pics & interesting writings. To my knowlege, this painting of crows by van Gogh is his last painting. Many people believe that Wheat Field with Crows was his last painting, but it’s been proven it wasn’t. The problem is, no one knows for sure which one was, so it’s left hanging there.